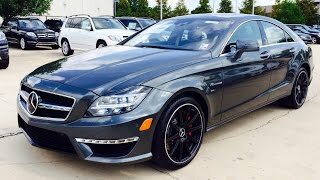 2014 Mercedes-Benz CLS 63 AMG S Model is the sports version of the CLS which can shoot from 0 to 100km/h in just 3.6 seconds. Power for this breath-taking thrill comes AMG 4Matic all-wheel powered by AMG 5.5L V8 biturbo engine which delivers 585 HP of max power and up to 800 Nm of torque. 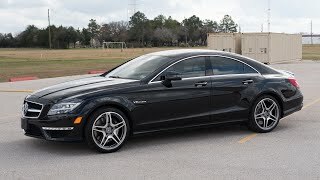 The market launch of the CLS 63 AMG with rear-wheel drive will begin in April 2013, with the all-wheel-drive CLS 63 AMG and the CLS 63 AMG S-Model following in June.